One of the things that distinguishes tennis from a lot of other sports on which wagers are taken in an online sportsbook like America’s Bookie is that there is betting action that goes on virtually year-round. And almost every tournament is covered. Those who don’t follow tennis probably don’t realize that there is a healthy group of people who are very ardent fans, and a considerable number of those people like to wager on the matches. Of course, the grand slams are the most popular events in tennis, and that applies whether it is on the men’s or women’s side. It is probably fair to say that men’s tennis is a little more popular with sportsbook customers than women’s tennis is, and therefore the events the men play will probably get more action. Aside from the grand slam events, others like the Masters and important events on the ATP tour will receive a lot of attention. 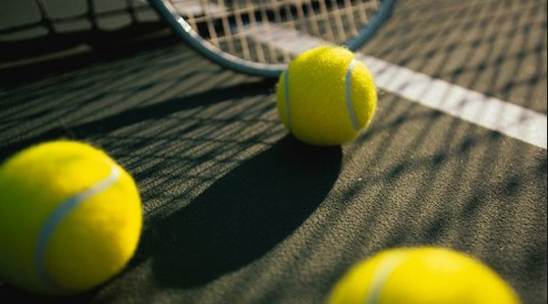 Naturally, the Davis Cup competition will attract a considerable amount of betting action as well, because the nature of these competitions is that they are, in effect, “dual meets” in which there are both individual winners of matches and a team winner. Many players, whether it is on the men’s or women’s side, gear their season around the “Slams,” and it would not be inaccurate to say that these major tournaments provide the best gauge of the player’s true ability. For the uninitiated, the grand slam tournaments are the following: the Australian Open, French Open, Wimbledon and the US Open. These are the circumstances in which both the men and the women converge in one location for two-week event. There is another tournament that fits this category, the Miami Open (originally known as the Lipton) which takes place in South Florida, which is not considered one of the four grand slams but attracts considerable betting interest nonetheless. In the United States, tennis will be covered for the most part on cable television. ESPN provides a lot of coverage from different places around the world, when there is not a broadcast network on hand to do grand slam matches. Sometimes there is a split between the cable entity and a broadcast outlet when it comes to doing the preliminary rounds and the later rounds, respectively. That is not the extent of tennis coverage; there is also a Tennis Channel that many systems are able to pick up. Our point is that those sportsbook customers who wager on tennis will, more likely than not, get to view the events they wager on, and that is a plus. The way matches are structured for men and women are different. And this is something that will take on a certain amount of importance for those placing wagers on tennis. In the grand slams, as well as other significant competitions, the men play a best-of-five set match, which means the first player to capture three sets wins. On the women’s side, it is a best-of-three set match. Therefore, when you see some of the various proposition bets, they might look a little different for the men’s matches than the women’s. Take note that there is usually a tournament taking place somewhere in the world every week. That means the top players – those the average customer may be familiar with – don’t show up for every tournament. So one of the keys to betting on tennis is being able to evaluate some of the lesser-known competitors, even in the late rounds of the tournament.